Ancient Rome was a civilization that grew from a humble city-state founded on the Italian Peninsula circa the 9th century BC to a massive empire straddling the Mediterranean. In its twelve-century existence, the Roman civilization shifted from a monarchy to an oligarchic republic to a vast empire. It came to dominate Western Europe and the entire area surrounding the Mediterranean Sea through conquest and assimilation. Nonetheless, a number of factors led to the eventual decline of the Roman Empire. 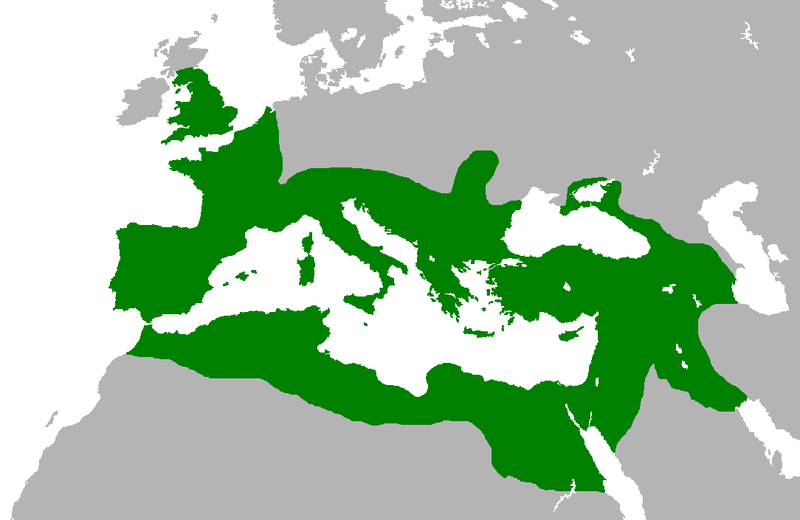 The western half of the empire, including Hispania, Gaul, and Italy, eventually broke into independent kingdoms in the 5th century; the eastern empire, governed from Constantinople, is usually referred to as the Byzantine Empire after 476, the traditional date for the "fall of Rome" and for the subsequent onset of the Early Middle Ages, also known as the Dark Ages. Roman civilization is often grouped into " classical antiquity" with ancient Greece, a civilization that inspired much of the culture of ancient Rome. Ancient Rome contributed greatly to the development of law, war, art, literature, architecture, technology and language in the Western world, and its history continues to have a major influence on the world today. Due to the momentous advances it achieved, as well as the tremendous legacy it left, Rome is widely viewed as one of the greatest civilizations in history. In Roman legend, Rome was founded on April 21, 753 BC by twin descendants of the Trojan prince Aeneas, Romulus and Remus. 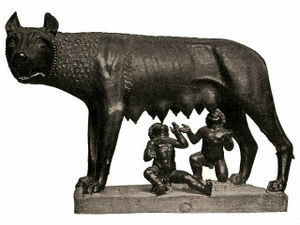 Romulus killed Remus in a quarrel over which of them was to reign and became the first of seven Kings of Rome, as well as the source of the city's name. As the city was bereft of women, legend says that the Latins invited the Sabines to a festival and stole their unmarried maidens, leading to the integration of the Latins and the Sabines. The city of Rome grew from settlements around a ford on the river Tiber, a crossroads of traffic and trade. According to archaeological evidence, the village of Rome was probably founded sometime in the 9th century BC by members of two central Italian tribes, the Latins and the Sabines, on the Palatine, Capitoline, and Quirinal Hills. The Etruscans, who had previously settled to the north in Etruria, seem to have established political control in the region by the late 7th century BC, forming the aristocratic and monarchial elite. The Etruscans apparently lost power in the area by the late 6th century BC, and at this point, the original Latin and Sabine tribes reinvented their government by creating a republic, with much greater restraints on the ability of rulers to exercise power. Marius, a Roman general and politician who dramatically reformed the Roman military. The Roman Republic was established around 509 BC, according to later writers such as Livy, when the last of the seven kings of Rome, Tarquin the Proud, was deposed, and a system based on annually-elected magistrates and various representative assemblies was established. The most important magistrates were the two consuls, who together exercised executive authority in the form of imperium, or military command. The consuls had to contend with the Senate, which was initially an advisory council of the ranking nobility, or patricians, but grew in size and power over time. Other magistracies in the Republic include praetors, aediles, and quaestors. The magistracies were originally restricted to patricians, but were later opened to common people, or plebeians. Republican voting assemblies included the comitia centuriata and the comitia tributa. The Romans gradually subdued the other peoples on the Italian peninsula, including the Etruscans. The last threat to Roman hegemony in Italy came when Tarentum, a major Greek colony, enlisted the aid of Pyrrhus of Epirus in 282 BC, but this effort failed as well. The Romans secured their conquests by founding Roman colonies in strategic areas, establishing stable control over the region. In the second half of the 3rd century BC, Rome clashed with Carthage in the first of three Punic Wars. These wars resulted in Rome's first overseas conquests, of Sicily and Hispania, and the rise of Rome as a significant imperial power. After defeating the Macedonian and Seleucid Empires in the 2nd century BC, the Romans became the dominant people of the Mediterranean Sea. But foreign dominance led to internal strife. Senators became rich at the provinces' expense, but soldiers, who were mostly small farmers, were away from home longer and could not maintain their land, and the increased reliance on foreign slaves reduced the availability of paid work. Income from war booty, mercantilism in the new provinces, and tax farming created new economic opportunity and wealth among the lower classes, forming a new class of merchants, the equestrians. Though the equestrians had vast financial resources at their disposal, they still found themselves counted among the lower-class plebeians, and therefore severely restricted in terms of political power. The Senate squabbled perpetually, repeatedly blocking important land reforms and refusing to give the equestrian class a larger say in the government. Violent gangs of the urban unemployed, controlled by rival Senators, intimidated the electorate through violence. The situation came to a head in the late 2nd century BC under the Gracchi brothers, a pair of tribunes who attempted to pass land reform legislation that would redistribute the major patrician landholdings among the plebeians. Both brothers were killed, but the Senate passed some of their reforms in an attempt to placate the growing unrest of the plebeian and equestrian classes. The denial of Roman citizenship to allied Italian cities led to the Social War of 91– 88 BC. The military reforms of Marius resulted in soldiers often having more loyalty to their commander than to the city, and a powerful general could hold the city and Senate ransom. This culminated in Sulla's brutal dictatorship of 81- 79 BC. In the mid-1st century BC, three men, Julius Caesar, Pompey, and Crassus, formed a secret pact—the First Triumvirate—to control the Republic. After Caesar's conquest of Gaul, a stand-off between Caesar and the Senate led to civil war, with Pompey leading the Senate's forces. Caesar emerged victorious, and was made dictator for life. In 44 BC, Caesar was assassinated by senators fearing that Caesar sought to restore the monarchy, and a Second Triumvirate, consisting of Caesar's designated heir, Augustus, and his former supporters, Mark Antony and Lepidus, took power. However, this alliance soon descended into a struggle for dominance. 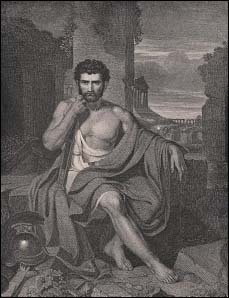 Lepidus was exiled, and when Augustus defeated Antony and Cleopatra of Egypt at the Battle of Actium in 31 BC, he became the undisputed ruler of Rome. The Roman Empire under Trajan (98 - 117). 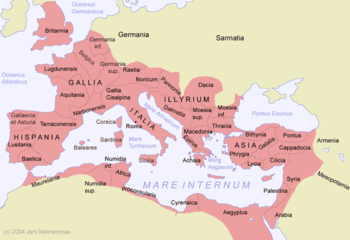 The Roman Empire reached its greatest extent in year 116. With his enemies defeated, Augustus assumed almost absolute power, retaining only a pretense of the Republican form of government. His designated successor, Tiberius, took power without bloodshed, establishing the Julio-Claudian dynasty, which lasted until the death of Nero in 68. The territorial expansion of what was now the Roman Empire continued, and the state remained secure, despite a series of emperors widely viewed as depraved and corrupt. Their rule was followed by the Flavian dynasty. During the reign of the " Five Good Emperors" ( 96– 180), the Empire reached its territorial, economic, and cultural zenith. The state was secure from both internal and external threats, and the Empire prospered during the Pax Romana ("Roman Peace"). With the conquest of Dacia during the reign of Trajan, the Empire reached the peak of its territorial expansion; Rome's dominion now spanned 2.5 million square miles (6.5 million km²). The period between 180 and 235 was dominated by the Severan dynasty, and saw several incompetent rulers, such as Elagabalus. This and the increasing influence of the army on imperial succession led to a long period of imperial collapse known as the Crisis of the Third Century. The crisis was ended by the more competent rule of Diocletian, who in 293 divided the Empire into an eastern and western half ruled by a tetrarchy of two co-emperors and their two junior colleagues. The various co-rulers of the Empire competed and fought for supremacy for more than half a century. In 330, Emperor Constantine I firmly established the capital of the Eastern Roman Empire in Byzantium, and the Empire was permanently divided into the Eastern Roman Empire (later known as the Byzantine Empire) and the Western Roman Empire in 364. The Western Empire was constantly harassed by barbarian invasions, and the gradual decline of the Roman Empire continued over the centuries. Rome was eventually 'taken hostage' by barbarians, after they had been promised land. Their initial plan was to stop anything and anyone entering or leaving the city until they were given land to settle in. However, after several betrayals, they grew angry and took the city for their own. In 410, the city of Rome itself was sacked, and on September 4, 476, the Germanic chief Odoacer forced the last Roman emperor in the west, Romulus Augustus, to abdicate. Having lasted for approximately 1200 years, the rule of Rome in the West came to an end. Life in ancient Rome revolved around the city of Rome, located on seven hills. The city had a vast number of monumental structures like the Colosseum, the Forum of Trajan and the Pantheon. It had fountains with fresh drinking-water supplied by hundreds of miles of aqueducts, theaters, gymnasiums, bath complexes complete with libraries and shops, marketplaces, and functional sewers. Throughout the territory under the control of ancient Rome, residential architecture ranged from very modest houses to country villas. In the capital city of Rome, there were imperial residences on the elegant Palatine Hill, from which the word "palace" is derived. The low and middle classes lived in the city centre, packed into apartments, which were almost like modern ghettos. The imperial city of Rome was the largest urban centre of its time, with a population well in excess of one million people (about the size of London in the early 19th century, when London was the largest city in the world), with some high-end estimates of 3.5 million and low-end estimates of 450,000. The public spaces in Rome resounded with such a din of hooves and clatter of iron chariot wheels that Julius Caesar had once proposed a ban on chariot traffic at night. Historical estimates indicate that around 20 percent of population under the jurisdiction of the ancient Rome (32% in Roman Italy) lived in innumerable urban centers, with population of 10,000 and more and several military settlements, a very high rate of urbanization by pre-industrial standards. Most of these centers had a forum and temples and same type of buildings, on a smaller scale, as found in Rome. 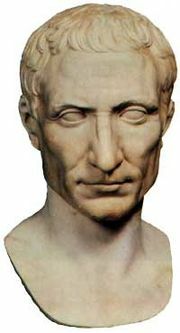 Bust of Julius Caesar, whose rise to power and assassination set the stage for Augustus to establish himself as the first Princeps. Initially, Rome was ruled by elected kings. The exact nature of the king's power is uncertain. He may have held near-absolute power, or may also have merely been the chief executive of the Senate and the people. At least in military matters, the king's authority ( Imperium) was likely absolute. He was also the head of the state religion. In addition to the authority of the King, there were three administrative assemblies: the Senate, which acted as an advisory body for the King; the Comitia Curiata, which could endorse and ratify laws suggested by the King; and the Comitia Calata, which was an assembly of the priestly college which could assemble the people in order to bear witness to certain acts, hear proclamations, and declare the feast and holiday schedule for the next month. The class struggles of the Roman Republic resulted in an unusual mixture of democracy and oligarchy. Roman laws traditionally could only be passed by a vote of the Popular assembly ( Comitia Tributa). Likewise, candidates for public positions had to run for election by the people. However, the Roman Senate represented an oligarchic institution, which acted as an advisory body. In the Republic, the Senate held great authority (auctoritas), but no actual legislative power; it was technically only an advisory council. However, as the Senators were individually very influential, it was difficult to accomplish anything against the collective will of the Senate. 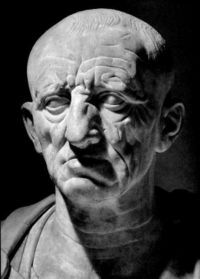 New Senators were chosen from among the most accomplished patricians by Censors (Censura), who could also remove a Senator from his office if he was found "morally corrupt"; a charge that could include bribery or, as under Cato the Elder, embracing one's wife in public. Later, under the reforms of the dictator Sulla, Quaestors were made automatic members of the Senate, though most of his reforms did not survive. In the early Empire, the pretense of a republican form of government was maintained. The Roman Emperor was portrayed as only a ' princeps', or "first citizen", and the Senate gained legislative power and all legal authority previously held by the popular assemblies. However, the rule of the emperors became increasingly autocratic over time, and the Senate was reduced to an advisory body appointed by the emperor. The Empire did not inherit a set bureaucracy from the Republic, since the Republic did not have any permanent governmental structures apart from the Senate. The Emperor appointed assistants and advisers, but the state lacked many institutions, such as a centrally-planned budget. Some historians have cited this as a significant reason for the decline of the Roman Empire. The territory of the Empire was divided into provinces. The number of provinces increased with time, both as new territories were conquered and as provinces were divided into smaller units to discourage rebellions by powerful local rulers. Upon the rise of Augustus and the Principate, the provinces were divided into imperial and senatorial provinces, depending on which institution had the right to select the governor. During the Tetrarchy, the provinces of the empire were divided into 12 dioceses, each headed by a praetor vicarius. The civilian and military authority were separated, with civilian matters still administered by the governor, but with military command transferred to a dux. The roots of the legal principles and practices of the ancient Romans may be traced to the law of the twelve tables (from 449 BC) to the codification of Emperor Justinian I (around 530). Roman law as preserved in Justinian's codes continued into the Byzantine Empire, and formed the basis of similar codifications in continental Western Europe. Roman law continued, in a broader sense, to be applied throughout most of Europe until the end of the 17th century. The major divisions of the law of ancient Rome, as contained within the Justinian and Theodosian law codes, consisted of Ius Civile, Ius Gentium, and Ius Naturale. The Ius Civile ("Citizen law") was the body of common laws that applied to Roman citizens. The Praetores Urbani (sg. Praetor Urbanus) were the individuals who had jurisdiction over cases involving citizens. The Ius Gentium ("Law of nations") was the body of common laws that applied to foreigners, and their dealings with Roman citizens. The Praetores Peregrini (sg. 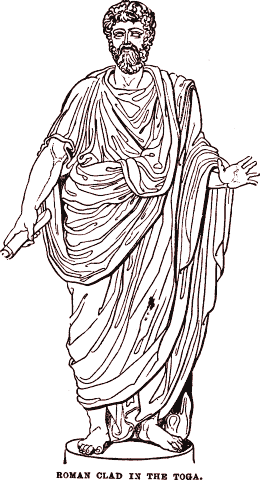 Praetor Peregrinus) were the individuals who had jurisdiction over cases involving citizens and foreigners. Ius Naturale encompassed natural law, the body of laws that were considered common to all beings. Some economic historians (like Peter Temin) argue that the economy of the Early Roman Empire was a market economy and one of the most advanced agricultural economies to have existed (in terms of productivity, urbanization and development of capital markets), comparable to the most advanced economies of the world before the industrial revolution, the economies of 18th-century England and 17th-century Netherlands. There were markets for every type of good, for land, for cargo ships; there was even an insurance market. Although barter was used in ancient Rome, and often used in tax collection, Rome had a very developed coinage system, with brass, bronze, and precious metal coins in circulation throughout the Empire and beyond—some have even been discovered in India. Before the 3rd century BC, copper was traded by weight, measured in unmarked lumps, across central Italy. The original copper coins ( as) had a face value of one Roman pound of copper, but weighed less. Thus, Roman money's utility as a unit of exchange consistently exceeded its intrinsic value as metal. 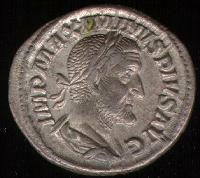 After Nero began debasing the silver denarius, its legal value was an estimated one-third greater than its intrinsic. Roman society was strictly hierarchical, with slaves (servī) at the bottom, freedmen (liberī) above them, and free-born citizens (civēs) at the top. Free citizens were themselves also divided by class. The broadest, and earliest, division was between the patricians, who could trace their ancestry to one of the 100 Patriarchs at the founding of the city, and the plebeians, who could not. This became less important in the later Republic, as some plebeian families became wealthy and entered politics, and some patrician families fell on hard times. Anyone, patrician or plebeian, who could count a consul as his ancestor was a noble (nobilis); a man who was the first of his family to hold the consulship, such as Marius or Cicero, was known as a novus homo ("new man") and ennobled his descendents. Patrician ancestry, however, still conferred considerable prestige, and many religious offices remained restricted to patricians. Allied foreign cities were often given the Latin Right, an intermediary level between full citizens and foreigners (peregrini), which gave their citizens rights under Roman law and allowed their leading magistrates to become full Roman citizens. While there were varying degrees of Latin rights, the main division was between those con suffrage ("with vote"; enrolled in a Roman tribe and able to take part in the comitia tributa) and sans suffrage (without vote; unable to take part in Roman politics). Some of Rome's Italian allies were given full citizenship after the Social War of 91– 88 BC, and full Roman citizenship was extended to all free-born men in the Empire by Caracalla in 212. Women shared some basic rights with their male counterparts, but were not fully regarded as citizens and were thus not allowed to vote or participate in politics. The basic units of Roman society were households and families. Households included the head of the household, paterfamilias (father of the family), his wife, children, and other relatives. In the upper classes, slaves and servants were also part of the household. The head of the household had great power (patria potestas, "father's power") over those living with him: He could force marriage and divorce, sell his children into slavery, claim his dependents' property as his own, and possibly even had the right to kill family members. Patria potestas even extended over adult sons with their own households: A man was not considered a paterfamilias while his own father lived. A daughter, when she married, usually fell under the authority of the paterfamilias of her husband's household, although this was not always the case, as she could choose to continue recognizing her father's family as her true family. However, as Romans reckoned descent through the male line, any children she had would belong to her husband's family. Groups of related households formed a family ( gens). Families were based on blood ties (or adoption), but were also political and economic alliances. Especially during the Roman Republic, some powerful families, or Gentes Maiores, came to dominate political life. In the early Republic, boys were taught to read and write by their father, or by educated slaves, usually of Greek origin; the ultimate aim of Roman education was to produce men who could speak effectively. Village schools were also established. Later, around 200 BC, boys and some girls at the age of 7 were sent to a school outside the home called a ludus. Basic Roman education included reading, writing, and counting, and their materials consisted of scrolls and books. At the age of 13, students learned about Greek and Roman literature. At the age of 16, some students went on to rhetoric school. Poorer people were usually taught by their parents as school was not free. Pupils went to school every day, except religious festivals and market days. There was also a summer holiday. 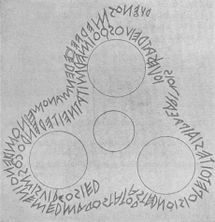 The Duenos inscription, a Latin text from circa the 6th century BC, is the earliest known example of Roman writing. The native language of the Romans was Latin, an Italic language the grammar of which relies little on word order, conveying meaning through a system of affixes attached to word stems. Its alphabet, the Latin alphabet, is ultimately based on the Greek alphabet. Although surviving Latin literature consists almost entirely of Classical Latin, an artificial and highly stylized and polished literary language from the 1st century BC, the actual spoken language of the Roman Empire was Vulgar Latin, which significantly differed from Classical Latin in grammar and vocabulary, and eventually in pronunciation. While Latin remained the main written language of the Roman Empire, Greek came to be the language spoken by the well-educated elite, as most of the literature studied by Romans was written in Greek. In the eastern half of the Roman Empire, which later became the Byzantine Empire, Greek eventually supplanted Latin as both the written and spoken language. The expansion of the Roman Empire spread Latin throughout Europe, and over time Vulgar Latin evolved and dialectized in different locations, gradually shifting into a number of distinct Romance languages. Although Latin is an extinct language with very few remaining fluent speakers, it remains in use in many ways, such as through Ecclesiastical Latin, the traditional language of the Roman Catholic Church and the official language of the Vatican City. Additionally, even after fading from common usage Latin maintained a role as western Europe's lingua franca, an international language of academia and diplomacy. Although eventually supplanted in this respect by French in the 19th century and English in the 20th, Latin continues to see heavy use in religious, legal, and scientific terminology—it has been estimated that 80% of all scholarly English words derive directly or indirectly from Latin. Archaic Roman mythology, at least concerning the gods, was made up not of narratives, but rather of complex interrelations between gods and humans. Unlike in Greek mythology, the gods were not personified, but were vaguely-defined sacred spirits called numina. Romans also believed that every person, place or thing had its own genius, or divine soul. During the Roman Republic, Roman religion was organized under a strict system of priestly offices, which were held by men of senatorial rank. The College of Pontifices was uppermost body in this hierarchy, and its chief priest, the Pontifex Maximus, was the head of the state religion. Flamens took care of the cults of various gods, while augurs were trusted with taking the auspices. The sacred king took on the religious responsibilities of the deposed kings. In the Roman empire, emperors were held to be gods, and the formalized imperial cult became increasingly prominent. As contact with the Greeks increased, the old Roman gods became increasingly associated with Greek gods. Thus, Jupiter was perceived to be the same deity as Zeus, Mars became associated with Ares, and Neptune with Poseidon. The Roman gods also assumed the attributes and mythologies of these Greek gods. The transferral of anthropomorphic qualities to Roman Gods, and the prevalence of Greek philosophy among well-educated Romans, brought about an increasing neglect of the old rites, and in the 1st century BC, the religious importance of the old priestly offices declined rapidly, though their civic importance and political influence remained. Roman religion in the empire tended more and more to centre on the imperial house, and several emperors were deified after their deaths. Under the empire, numerous foreign cults grew popular, such as the worship of the Egyptian Isis and the Persian Mithras. Beginning in the 2nd century, Christianity began to spread in the Empire, despite initial persecution. It became an officially supported religion in the Roman state under Constantine I, and all religions except Christianity were prohibited in 391 by an edict of Emperor Theodosius I.
Roman sculpture was at its most original in the production of strongly characterized portraits such as this bust of Cato the Elder. Most early Roman painting styles show Etruscan influences, particularly in the practice of political painting. In the 3rd century BC, Greek art taken as treasure from wars became popular, and many Roman homes were decorated with landscapes by Greek artists. Evidence from the remains at Pompeii shows diverse influence from cultures spanning the Roman world. Portrait sculpture during the period utilized youthful and classical proportions, evolving later into a mixture of realism and idealism. During the Antonine and Severan periods, more ornate hair and bearding became prevalent, created with deeper cutting and drilling. Advancements were also made in relief sculptures, usually depicting Roman victories. The ancient city of Rome had a place called Campus, a sort of drill ground for Roman soldiers, which was located near the Tiber river. Later, the Campus became Rome's track and field playground, which even Julius Caesar and Augustus were said to have frequented. Imitating the Campus in Rome, similar grounds were developed in several other urban centers and military settlements. In the campus, the youth assembled to play and exercise, which included jumping, wrestling, boxing and racing. Riding, throwing, and swimming were also preferred physical activities. In the countryside, pastimes also included fishing and hunting. Women did not participate in these activities. Ball-playing was a popular sport, and ancient Romans had several ball games, which included Handball (Expulsim Ludere), field hockey, catch, and some form of football. A popular form of entertainment were gladiatorial combats. Gladiators fought either to the death, or to "first blood" with a variety of weapons and in a variety of different scenarios. These fights achieved their height of popularity under the emperor Claudius, who placed the final outcome of the combat firmly in the hands of the emperor with a hand gesture. Contrary to popular representations in film the gesture for death was not "thumbs down". The emperor would signify "death" by holding a raised fist to the winning combatant and then extending his thumb laterally. "Mercy" was indicated by a raised fist with no extended thumb. Animal shows were also popular with the Romans, where foreign animals were either displayed for the public or combined with gladiatorial combat. A prisoner or gladiator, armed or unarmed, was thrown into the arena and an animal was released. Gladiators fought in games held only ten days per year, and could earn the ancient Roman equivalent of 500,000 EUR for competing in a single fight to the death. The Circus Maximus, another popular site in Rome, was primarily used for horse and chariot racing, although it was also used in many other events. It could hold up to 385,000 people; people all over Rome would visit it. Two temples, one with seven large eggs and one with seven dolphins, laid in the middle of the track of Circus Maximus, and whenever the racers made a lap, one of each would be removed. This was done to keep the spectators and the racers informed on the race statistics. Other than sports, the Circus Maximus was also an area of marketing and gambling. Higher authorities, like the emperor, also attended games in the Circus Maximus, as it was rude not to. They, knights, and many other people who were involved with the race sat in reserved seats located above everyone else. It was also found rude for emperors to root for a team. The Circus Maximus was created in 600 BC and hosted the last horse racing game in 549, lasting for over a millennium. 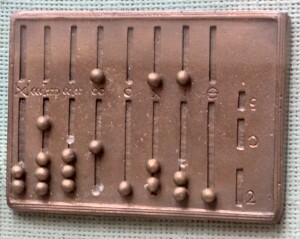 The Roman abacus, the first portable calculating device, helped speed up the use of Roman arithmetic. Ancient Rome boasted the most impressive technological feats of its day, utilizing many advancements that would be lost in the Middle Ages and not be rivaled again until the 19th and 20th centuries. However, though adept at adopting and synthesizing other cultures' technologies, the Roman civilization was not especially innovative or progressive. Many practical Roman innovations were adopted from earlier Greek designs. The development of new ideas was rarely encouraged; Roman society considered the articulate soldier who could wisely govern a large household the ideal, and Roman law made no provisions for intellectual property or the promotion of invention. The concept of "scientists" and "engineers" did not yet exist, and advancements were often divided based on craft, with groups of artisans jealously guarding new technologies as trade secrets. Nevertheless, a number of vital technological breakthroughs were spread and thoroughly utilized by Rome, contributing to an enormous degree to Rome's dominance and lasting influence in Europe. Pont du Gard in France is a Roman aqueduct built in ca. 19 BC. It is one of France's top tourist attractions and a World Heritage Site. Roman engineering constituted a large portion of Rome's technological superiority and legacy, and contributed to the construction of hundreds of roads, bridges, aqueducts, baths, theaters and arenas. Many monuments, such as the Colosseum, Pont du Gard, and Pantheon, still remain as testaments to Roman engineering and culture. The Romans were particularly renowned for their architecture, which is grouped with Greek traditions into " Classical architecture". However, for the course of the Roman Republic, Roman architecture remained stylistically almost identical to Greek architecture. Although there were many differences between Roman and Greek building types, Rome borrowed heavily from Greece in adhering to strict, formulaic building designs and proportions. Aside from two new orders of columns, composite and Tuscan, and from the dome, which was derived from the Etruscan arch, Rome had relatively few architectural innovations until the end of the Roman Republic. Concrete made possible the paved, durable Roman roads, many of which were still in use a thousand years after the fall of Rome. The construction of a vast and efficient travel network throughout the Roman Empire dramatically increased Rome's power and influence. Originally constructed for military purposes, to allow Roman legions to be rapidly deployed, these highways had enormous economic significance, solidifying Rome's role as a trading crossroads—the origin of the phrase "all roads lead to Rome". The Roman government maintained way stations which provided refreshments to travelers at regular intervals along the roads, constructed bridges where necessary, and established a system of horse relays for couriers that allowed a dispatch to travel up to 800 km (500 miles) in 24 hours. 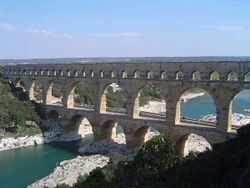 The Romans constructed numerous aqueducts to supply water to cities and industrial sites and to assist in their agriculture. The city of Rome itself was supplied by eleven aqueducts with a combined length of 350 km (260 miles). Most aqueducts were constructed below the surface, with only small portions above ground supported by arches. Powered entirely by gravity, the aqueducts transported very large amounts of water with an efficiency that remained unsurpassed for two thousand years. Sometimes, where depressions deeper than 50 miles had to be crossed, inverted siphons were used to force water uphill. The Romans also made major advancements in sanitation. Romans were particularly famous for their public baths, called thermae, which were used for both hygienic and social purposes. Many Roman houses came to have flush toilets and indoor plumbing, and a complex sewer system, the Cloaca Maxima, was used to drain the local marshes and carry waste into the Tiber river. Some historians have speculated that the use of lead pipes in sewer and plumbing systems led to widespread lead poisoning which contributed to the decline in birth rate and general decay of Roman society leading up to the fall of Rome. However, lead content would have been minimized because the flow of water from aqueducts could not be shut off, it ran continuously through public and private outlets into the drains, only a small number of taps were in use. The Colosseum is an immense stadium, constructed circa CE 70-72, that remains a world-famous landmark today. At 48 meters high, 188 meters long, and 156 meters wide, it could seat 50,000 people. Upon its completion, a 100-day celebration was held. During these feasts, 11,000 Jews, Christians, slaves and over 5,000 animals were killed. In the centre of the Colosseum was a wooden stage, covered with about 15 cm of sand to soak up blood. The walls had 80 entrance arches, called vomitoria. There were four entrances specifically for emperors. The Circus Maximus was a building used mostly for chariot racing, but sometimes for hunts or mock battles. It was 600m long, 225m wide, and could seat up to 300,000 people. It was built in the 6th century B.C. It burned down twice, and the stands collapsed on at least two occasions, killing many people. The Circus Maximus was oval shaped, with a long barrier in the middle that contained statues, columns, along with two temples. On one temple there were seven egg shaped objects, and atop the other, seven dolphin shaped objects. Each time an individual completed a lap, an egg or a dolphin was removed, to keep track of the remaining laps. Unlike in most Roman buildings, men and women could sit together. The emperor had a reserved seat, as did the senators, and other dignitaries. The Pantheon was a beautiful building in honour of the Olympic gods. It is the most well-preserved building in ancient Rome. The original Pantheon was built in 27 B.C. It was rebuilt in 609 A.D., most likely because of a fire. Pope Boniface received it as a gift from the emperor. The interior of the Pantheon is a circle, 43 m in both directions. It has a hemispheric dome with a skylight, or oculus, on the top, measuring 8.9 m in diameter. 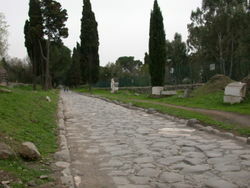 The Via Sacra, or the Sacred Way was the main and widest street in the Forum. This was the place of triumphs, religious festivals, and the way of victorious generals. This old, strange monument was the place of the oldest Latin inscription (writing) known. The “rock” was made up of an altar, a column with the inscription on it. According to legend this building was thought to be, and perhaps is, the tomb of Romulus, the first king of Rome. The Curia was the first Senate house, furnished with simple, wooden benches, desks and a chair for the speaker. Later the Curia was destroyed by a group of protesting people. The basilica was built in 179 B.C. It was beatified and restored by the families of the basilica. After the death of the wife of emperor Antoninus Puis, he had this temple constructed in her honour, and when Antoninus died, it was rededicated for both of them. The temple was turned into a church in the middle ages. Much of the temple is well preserved. This arch is the most celebrated arch of Rome. It was built by the popular Emperor Titus, who suddenly died in plague A.D. 81. The brother of Titus reconstructed the arch, including beautiful carvings. This was an enormous temple built for the gods Venus and Roma to be honored. The part dedicated to Roma faced the Forum, and the one for Venus faced the amphitheatre. The original name is Templum Divi Juli. Only a few parts remain from it today. Caesar's body was burned in front of the temple, and it is thought that his remains were placed on an alter, in the centre of the building. This temple was built in the honour of Castor and Pollux, the twin sons of Jupiter. The legend says that two young men helped win a battle against the Latins. Then they went to watch the sunset in the Forum, and they were never seen again after that. The Basilica was begun in 306-310 and was finished in 312-337. Today only three huge arches are left. For Romans it was the centre of justice. In 54 B.c. Julius Caesar began building the basilica, but was not able to finish it. But when completed it became one of the favorite places of the Roman people. The legend says that there was an altar for the god Saturn on the Capitoline hill, and the building was built around it. The Tabularium was a beautiful building for storing state papers, such as important deeds, laws, treaties (state agreements) and papers of the Senate. The emperor Vespasian was the father of Titus. He was the only Roman, who we know about, having a sense of humor on deathbed. His word were something like this: “I think I’m becoming a god now.” This was considered funny at that time, because emperors considered themselves gods during their whole lifetime, and emperor’s were usually very dramatical, when they were dying. There is not much remaining from this temple, but it is thought that it was very decorative. More than 2000 years ago, when the normal people (the plebeians) with struggling against the higher ranked people, (the patricians) for an equal share of rights. An old man stood on the steps of the Senate-house and said: “besought (ask) the gods that they would bring these troubles to a happy conclusion”. Then he vowed to build a temple, the temple of concord, which made peace amongst the people. Concordia was the goddess of agreement in Roman mythology. The Lacus Curtius is a simple monument, with a horse and a soldier riding it. There are three stories about this stone. 1. lightning struck into the place, and the consul Curtius closed the area with a fence in 445 B.C., and this is what’s left of it. 2. that a chasm, a gap suddenly appeared in the forum. Soothsayers (people who told about the future) said that it could be only closed if someone leapt into it. The brave Curtius jumped into the crack, which then closed. 3. Mettius Curtius rode his horse into a swamp to escape Romulus. The Rostra was a platform for speakers. Many famous Roman speeches were delivered here on this flat building. It was well decorated with statues and carved pictures. Next to the rostra Augustus set up a sculpture covered with gold, that had the names of the major cities in rome. This was called “Miliarium aereum”. This arch was built in 203 A.D. in honour of the victory of emperor Septimus Severus, and his sons, Caracalla and Geta. When the emperor died the two sons were ruling together. In public they pretended to love each other, but in reality they hated each other. Carcalla trapped his brother and killed him. This was a column, in the forum made from white marble. The monument was built for the emperor Phocae. This was a spring or well in the forum, dedicated to the young girl, Juturna, according to the mythology. It was thought that the water in the well was healing. This was the holy place of the twelwe main gods and goddesses of rome. The gods were: Jupiter-Juno, Neptune-Minerva, Apollo-Diana, Mars-Venus, Vulcan-Vesta, and Mercyry-Ceres. There were eight open rooms in the Porticus Deorum, and the sculptures of the gods were put into these rooms in twos. The Carcer was a prison. The upper part was where prisoners were sentenced. The underground section where executions were carried out was called the Tallianum. St. Peter and Paul were kept there in the time of Nero. According to legend St. Peter asked for some water, and baptized the jailers. The early Roman army was, like those of other contemporary city-states, a citizen force in which the bulk of the troops fought as a type of phalanx. The soldiers were required to supply their own weapons, and returned to civilian life once their service was ended. The first of the great army reformers, Camillus, reorganized the army to adopt manipular tactics and divided the infantry into three lines: hastati, principes and triarii. The small landholders had traditionally been the backbone of the Roman army, but by the end of the 2nd century BC, the self-owning farmer had largely disappeared as a social class. Faced with acute manpower problems, Gaius Marius transformed the army into a volunteer force and accepted recruits from the lower classes, providing arms and armor for these troops out of his own pocket. The Roman army was a marvel of discipline, which arguably made it one of the best armies of its time. Over the course of history, Rome faced many enemies who had more skilled warriors than the Roman Legionary, and some of these enemies even had the advantage of superior numbers; yet the Roman legions won through. The Roman army owed much of its success to its brilliant generals, but no general can command an army that doesn't obey him. Roman legionaries had comparatively less skill at fighting than most of their opponents, but they also had less of the impetuous spirit that made their Celtic enemies so fearsome. With their little swords and unwieldy shields they could defeat all but the most fearsome and determined of barbarian tribes. Roman discipline was brutal; running from a battle was generally punished by death, and minor breaches of military rules could earn a flogging. A Legion was trained to virtually worship the silver eagle standard, and its loss in battle meant the Legion's disbanding. The Roman Legions specialized in working as a team and sticking together: the Legionaries would follow their general anywhere, even to civil war. The Roman legion was one of the strongest aspects of the Roman army. The Roman triumph was a civic ceremony and religious rite held to publicly honour a military commander. The legions were also physically powerful and had a lower tendency to illness than other armies. Not only because of a food shortage, but because garlic and onions were so effective in being a nutritious food and long-lasting, the Roman army was fed garlic while marching. 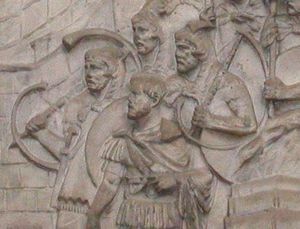 The legions were supported by auxiliaries, troops drawn from the provinces who could earn Roman citizenship through military service. The last army reorganization came when Emperor Constantine I divided the army into a static defense force and a mobile field army. During the Late Empire, Rome also became increasingly dependent on allied contingents, foederati. The interest in studying ancient Rome arose presumably during the Age of Enlightenment in France. Charles Montesquieu wrote a work " Reflections on the Causes of the Grandeur and Declension of the Romans". The first major work was The History of the Decline and Fall of the Roman Empire by Edward Gibbon, which encompassed the period from the end of 2nd century to the fall of the Byzantine Empire in 1453. Like Montesquieu Gibbon paid high tribute to the virtue of Roman citizens. Barthold Georg Niebuhr was a founder of the criticism and wrote The Roman History, carried until the First Punic war. Niebuhr has made an attempt to determine the way the Roman tradition appeared. According to him, Romans, like other people, had a historical ethos which was preserved mainly in the noble families. During the Napoleonic period the work titled The History of Romans by Victor Duruy appeared. It highlighted the Caesarean period popular at the time. History of Rome, Roman constitutional law and Corpus Inscriptionum Latinarum, all by Theodor Mommsen, became very important milestones. Later the work Greatness and Decline of Rome by Guglielmo Ferrero was published. The Russian work Очерки по истории римского землевладения, преимущественно в эпоху Империи (The Outlines on Roman Landownership History, Mainly During the Empire) by Ivan Grevs contained information on the economy of Pomponius Atticus, one of the greatest landowners during the end of Republic.